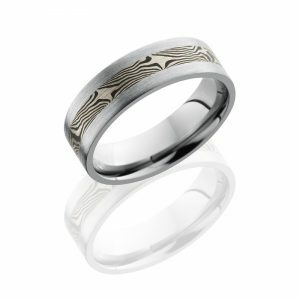 Damascus Steel with angled 14k rose gold domed comfort fit band. 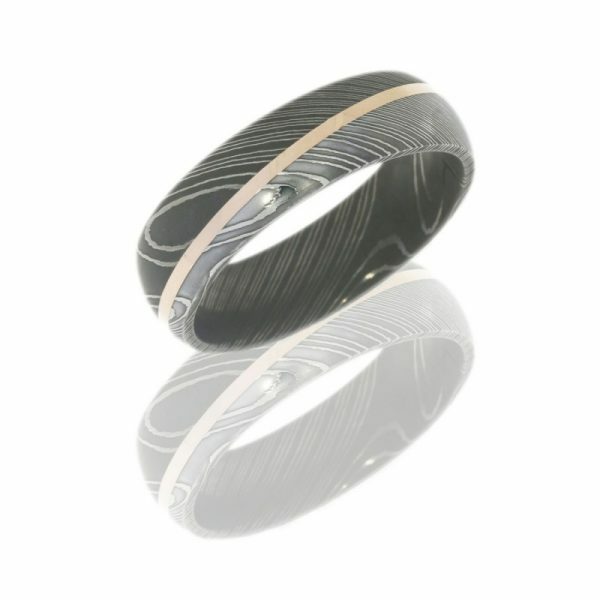 The ring is 7mm wide with an angled 14k rose gold inlay (1mm wide) high polished stripe, which runs the circumference of the ring. 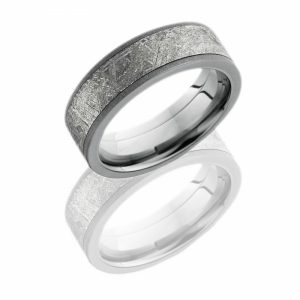 The finish of the ring flanking the inlay is half acid washed and half polished. 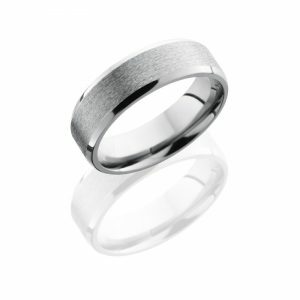 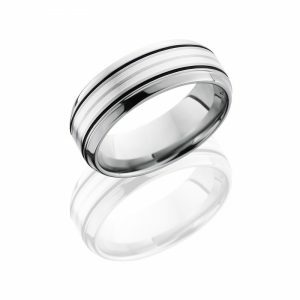 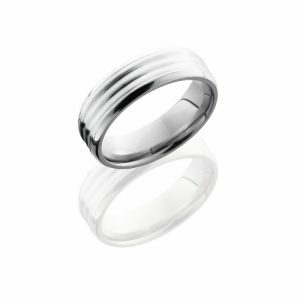 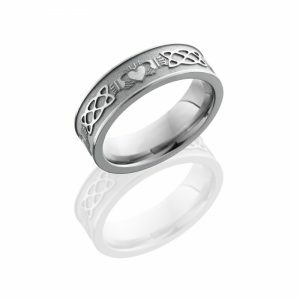 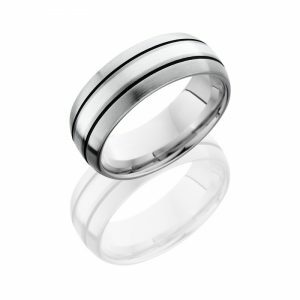 Also, the ring has a flat edge and heavy comfort fit.